Our 60” Round Tables are nice for more formal events! 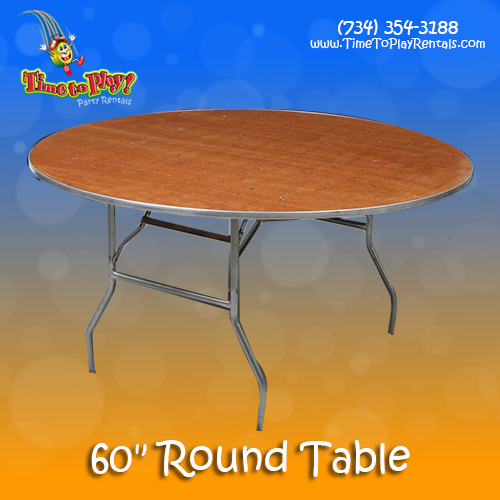 Our 60” Round Tables set 8 guests comfortably, and are the perfect choice for graduation parties, weddings and family reunions. These tables have wood tops, sealed with stain and polyurethane, and edged with aluminum. Their heavy-duty "gravity-lock” folding legs ensure durability. We offer a large selection of linens to match the theme of your event!